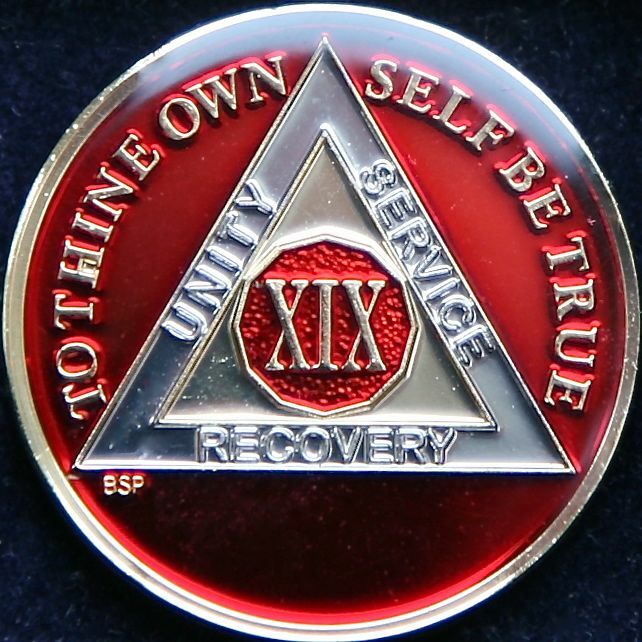 New edition red, silver and gold enamelled 19 year sobriety chip. With the Words "To Thine Own Self Be True," and "Unity, Service and Recovery". On the reverse side is inscribed the Serenity Prayer. 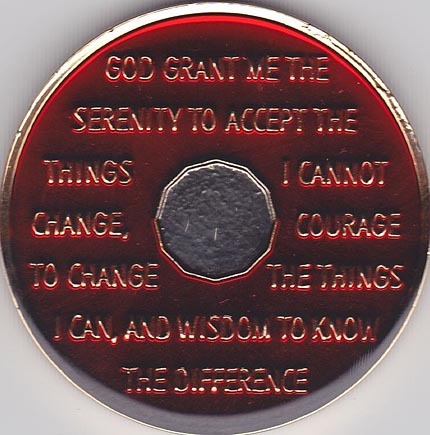 Celebrates 6,940 days, 228 months, 988 weeks, Nineteen Years of Sobriety. Six Thousand, Nine Hundred and Forty Days, One Day at a Time.